It turns out that one of our most used household items in fact doubles as a fly-away tamer! This item is the ever present TOOTHBRUSH! 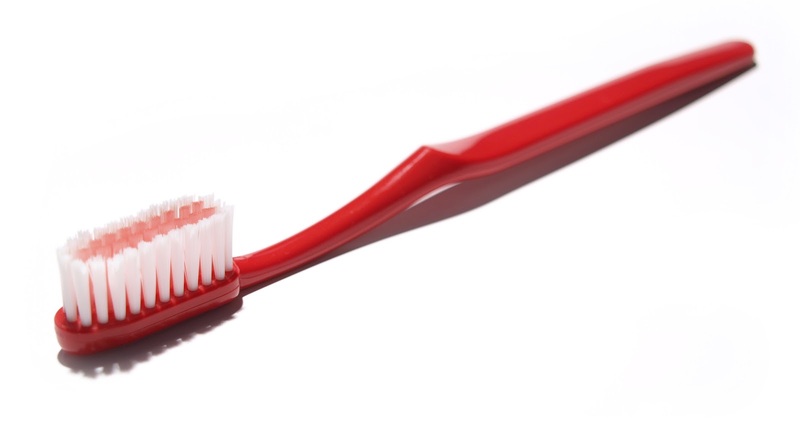 Simply start by going out and grabbing the cheapest toothbrush you can find. Then, spray the end of the toothbrush and/or your hair with hairspray and use the bristles on the toothbrush to comb through your hair. You'll be amazed at how well the fine bristles of the toothbrush hide those unruly short hairs that stick out all over the place. I find that this works better when my hair is up than when it is down. It's not a complete miracle worker, but it is a very QUICK and EASY way to get a more polished look! Do you have any go-to tips and tricks?